Could be David Lane then. David was the one in Barnes B when I was there and is about our age. May I go back to Barnes B in the Stone Age ? On the matter of Non-Housie Uniform, at the begginning of the War (Not the Boer !) the Trebles, from Westminster Abbey Choir School, were evacuated to CH. I sem to remember that they were pretty obvious, wearing grey shorts and jackets, their singing, in the CH choir was pretty obvious, as well ! Later, in, I think 1941, they moved off somewhere else. At the time, Uniforms were not in short supply, as later, and I think I got mine within a couple of days. Somewhere, in the Archives I believe I have got at least one photo of the House in the 40s L M Carey as Housemaster and REv. Featherstone- Haugh (Pronounced FEESTON HO !) 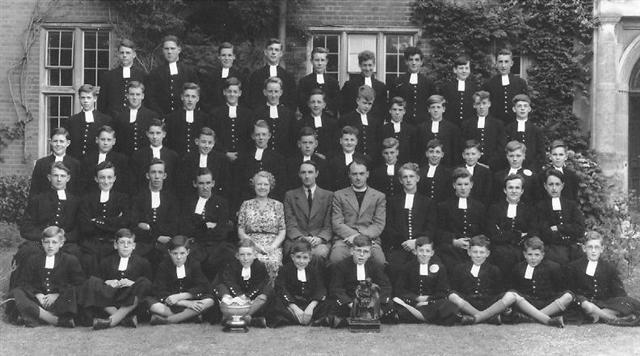 as Junior Housemaster. I always thought it was pronounced Fanshawe, obviously a different branch of the Featherstone-Haughs. (edit from David Robinson, Ba B '51-'58:- previously identified as 1951 - believed to be the 1951-1952 academic year, taken in summer 1952). What is the silver trophy? Does it have something to do with music? If so, Barnes B was clearly an arty house at this time. The other trophy is the Coleridge Trophy, awarded for academic excellence. No great crowd of sporting awards, certainly. 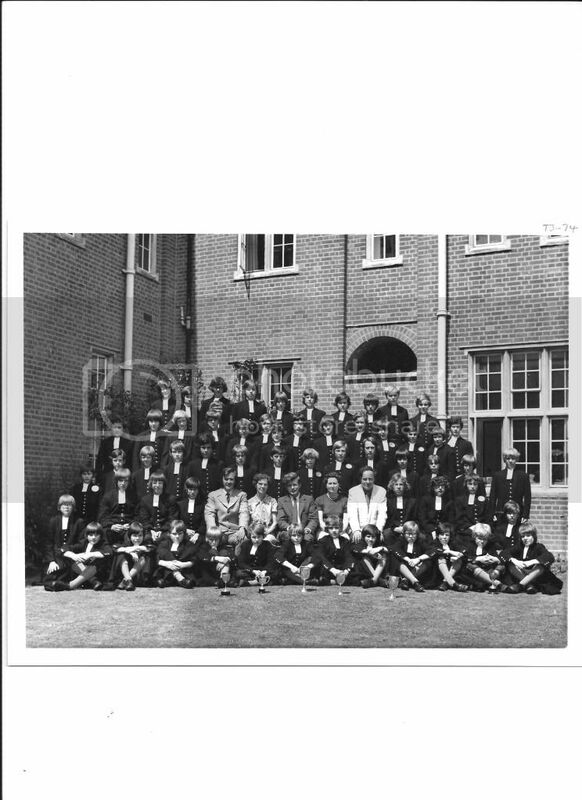 When I look at these photos of the 50s and I see names that were also around in the 80s, I sometimes wonder if these chaps sent tehir sons to the school. In this picture Newson-Smith and McInerney spring to mind. Theoretically with the benefit of a CH education we should do well enough thereafter not to qualify to send our children to CH! Clearly this doesn't apply to the children of clergy - or to women who marry someone who has not had a CH education! I sent two daughters to CH ............ nuff said!! A late thought --- while I am searching for my Photo of Ba B in 1945 ---which seems to have disappeared ! I believe there were two Newson- Smiths, one certainly in my time --- up to 1946, the later one may well have been a brother ? jtaylor wrote: House photo of Barnes A from the summer of 1973. Another great photo. Richard R picked the best position . 1ST ROW : 1:kneeling , david arnold ? 2: john carter 3: richard charlesworth ? 4: paul billing ? 5: : ? 6: peter schooling 7: steven taylor ? 8: ? 9 : jeremy sykes 10: chris wood 11: simon randall 12 ? robinson 13: kneeling ? hodgson 14: ? Last edited by 5h17shoveller on Tue Feb 22, 2011 3:31 pm, edited 2 times in total. I can't remember most of the second form listed here but Richard Charlesworth and Martin Francis were both in Leigh Hunt A. Regarding the question, "May I pose a question ? Why are some of the more 'junior' lads in what I would term, summer-flannel dress ? John Rutley. Prep B & Coleridge B. 1958-1963", there is a simple answer. Until circa 1951 there was clothes rationing, a relic of World War 2. Hence only those boys on the LE forms and above wore Housey dress. 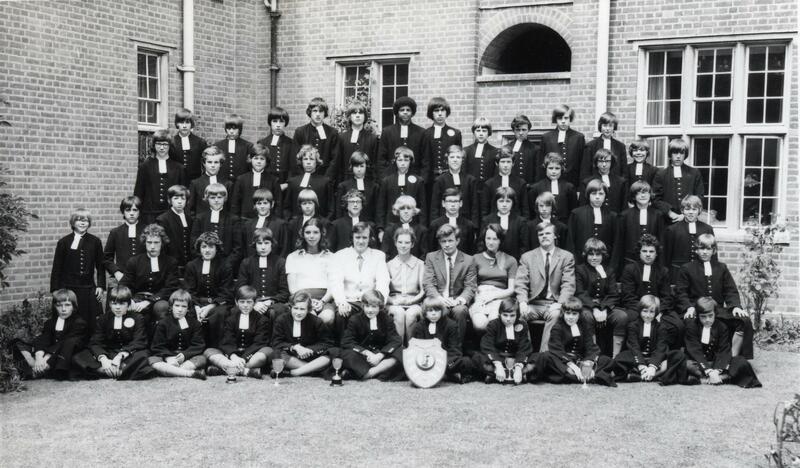 Those on lower forms (Prep A & B, Third Form and Lower Fourth), wore corduroy shorts and a woolen jacket, mainly brown. When all could finally wear full Housey dress the small boys rejoiced.